The island province of Camiguin lies north of the Mindanao group of islands in the southern Philippines and has become one a popular destination for local and foreign tourists, with its white sand beaches, waterfalls, hot springs and its other tourist spots. I suggest going to the island soon before it becomes too popular and you’d have to share the island beach with too many others. 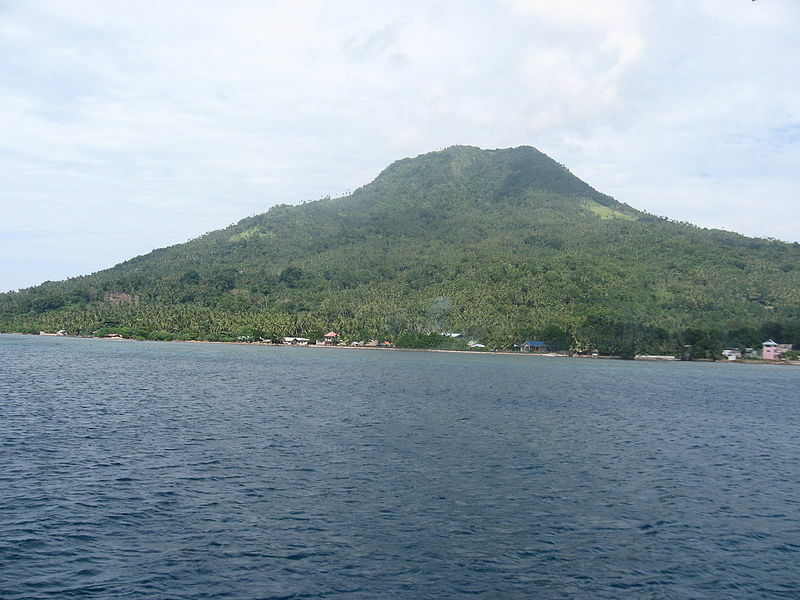 The fastest way I know to get to the island is by taking a plane from Manila to Cagayan de Oro (CDO) then taking the ferry from CDO to Camiguin. Philippine Airlines flights to Cagayan de Oro cost P2,042.00, Cebu Pacific flights cost P2,400.00. 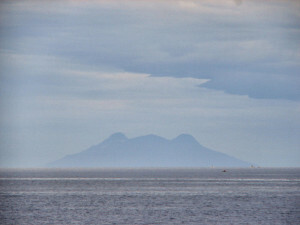 There are two ferry companies that make trips to the island starting from 5am until the late afternoon. Passenger fare for the ferries is P135.00 and a trip to the island would probably take about 2 hours depending on the weather and the waves. You can also opt to take a fast watercraft, the Paras Seacat, from Cagayan De Oro to Camiguin. Rates for the Seacat are P400 for regular seats and P600 for business seats. Once in the island, you can either look for tour guides and vans to bring you around the island for the day and get you back to the docks for the return trip at 5pm. 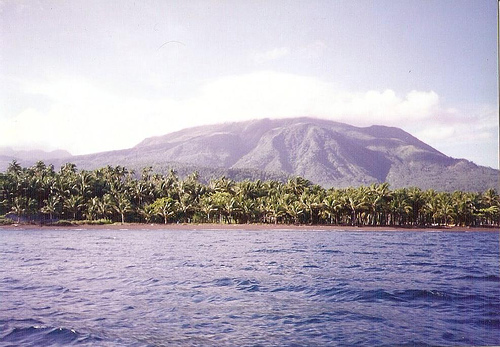 Doing a day trip may not be enough for you to truly enjoy Camiguin. Fortunately, there are more than enough hotels and resorts to accommodate the curious traveler so let me give you a run down of a few recommended ones. The Paras Beach Resort is one of the largest on the island, it’s got all you need in a hotel and resort, water sports activities, a bar and a game room though I’m not sure about Wi-Fi Internet. Prices range from P1,950.00 for a standard room upto P3,450.00 for a family room. There are also dormitories with 12 beds for P4,200.00 a night. Caves Dive Resort is also another good place to stay at. Its more expensive than most hotels but it offers tour packages so you won’t have to worry about how to get around all the great tourist spots on the island. They have fan and air-conditioned cottages between P1,875.00 to P3,500.00 inclusive to transportation to and from the port, breakfast and local taxes. Other places you may want to check out are Busky’s Treehouse Over the Sea Motel, Bahay Bakasyunan (translated as Vacation House) or the Villa Paraiso Resort and Appartelle. Villa Paraiso’s rooms are between P1,000.00 to P3,000.00 a night. The first thing you’ll notice is that there are a lot of volcanoes for such a small strip of land. 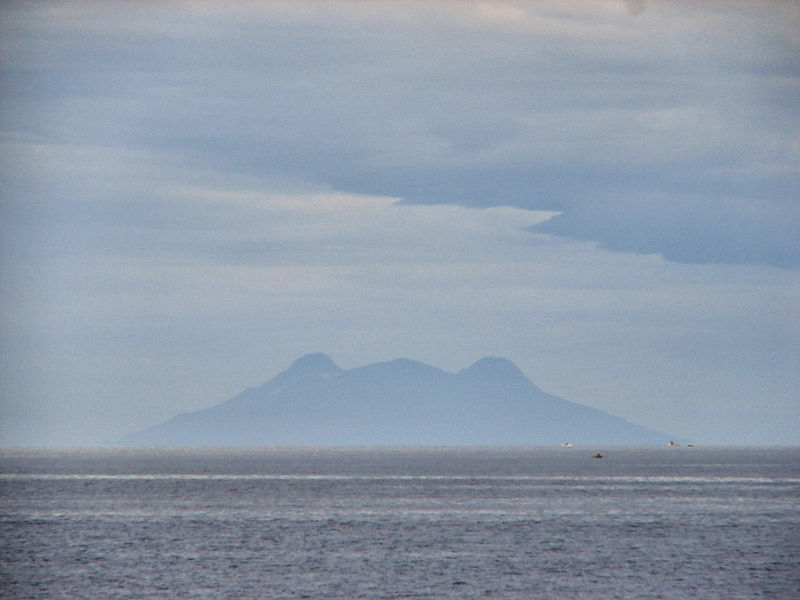 In fact, it’s got about seven volcanoes in a province with just 5 towns, and it has probably the highest volcano per kilometer ratios in the world. The most popular of these is Mount Hibok-hibok which erupted last in December of 1951 claiming the lives of roughly 3,000 persons as it spilled lava and pyroclastic material from its peaks. 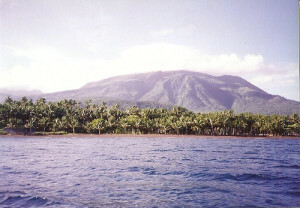 Mount Butay is one of the extinct volcanoes of Camiguin Island in Southern Philippines. Today, Mount Hibok-hibok remains dormant and you can actually visit it so long as you get a permit from the city local office of the Department of Environment and Natural Resources (DENR). The other volcanoes on the island are Campana, Carling, Ginsiliban, Mambajao, Minokol, Ginsiliban, Tres Marias, and Piyakong, and Vulcan. Now all that geothermal activity on such a small place has resulted in the large number of natural springs, both hot and cold around the province. 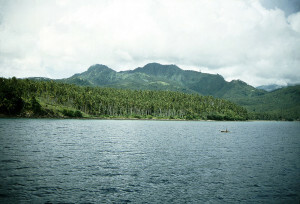 The most frequented are the Esperanza Ardent Springs, at the foot of Hibok-hibok, the Sto. Nino Cold Springs south of Catarman, Tangub hot springs west of Mambajao among others. Another famous travel destination in the island is the Sunken Cemetery, once a part of the old town of Cotta Bato which was buried in the volcanic eruption in 1871. The cross which is visible above the water serves as a marker for the site. It seems that Camiguin doesn’t run out of things to see as visitors can enjoy the Katibawasan Waterfalls near Mambajao and the Tuasan waterfalls near Catarman. At Katibawasan you can take a dip in the deep pool of the lake or, for a few extra pesos, you can rappel down the side of the 70-meter waterfalls. Not for those who are afraid of heights though.